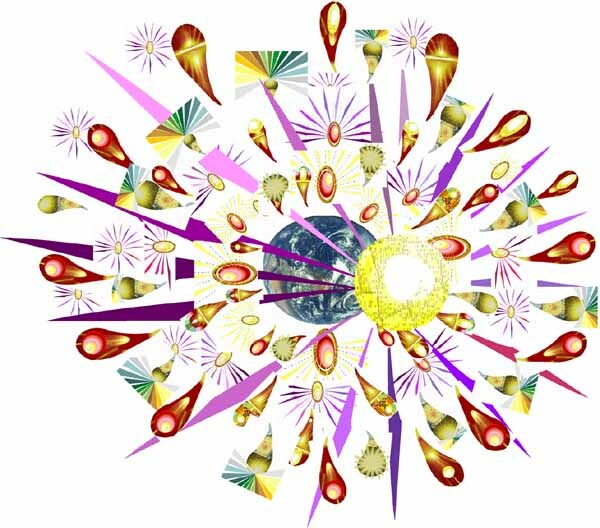 Our greatest accomplishment in year 2007 has been the streamlining of the participation process in the Global Dialogue. 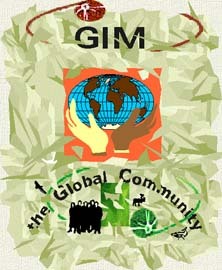 The Global Community has developed a process for discussion on issues. Our Global Roundtable and Group Discussion by email are a very efficient way for sharing information and discussion. So I thought to include your messages for discussion along with many others. Others will come later. I have included your email messages in several locations. On this lead page notice the image with five arrows (like the one shown here). The five arrows show you the five different ways of participating in the global dialogue. Actually both a Group Discussion by email and a Global Roundtable are supplementing one another. Connect with either one. It shows a Main Index in either page. and by reading the section 'Work from participants and authors with a summary or abstract of each work', you find that the listing and description of participants and authors with links to their work. What is important here is the possibility of organizing a major roundtable on 'Who owns the Earth?' with group discussion by email.